I've debated writing this post for a little while now because I think some people could take it the wrong way, but decided that I wanted to share my experience in the hopes that it would help some other mamas out there that could be dealing with the same sleep issues. Isn't it funny how each and every child is different? I mean, for my three, all of them have very different personalities and very different modes of self soothing and getting themselves to sleep as babies and little ones. Little Mama was a dream. 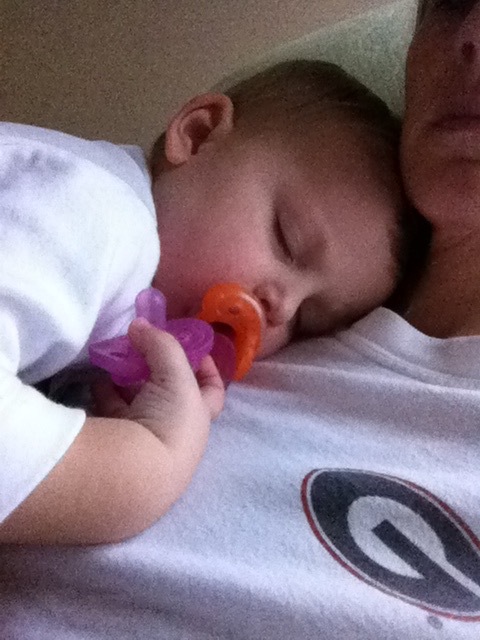 She didn't take to a paci after those first few months and became super attached to her Angel Dear Lovey instead. Also, because she was my first I did everything right. You know, perfect sleeping conditions...in her crib and sound machine on at the exact same time every single day. Blondie was (and still is) my thumb sucker. She used to have that little thumb in her mouth every time I looked at her. 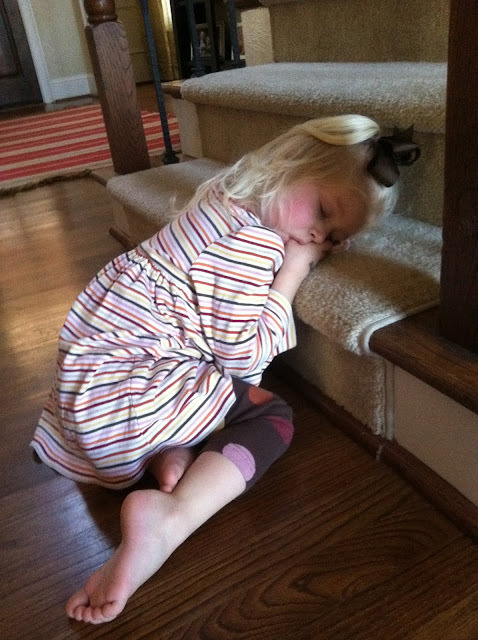 She also has always been my one that requires the most sleep and could fall asleep just about anywhere. I think that is because of the thumb sucking and it being so "convenient" to just pop in her mouth when she was tired. The thumb sucking is a habit we are currently trying to break. I've tried a few things that have been unsuccessful so far, but got some tips from our orthodontist that I'm hoping to try soon. Then there is the baby of the family, little Boo-Boo. 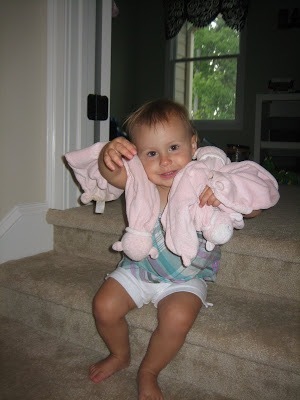 He was a paci baby from day one and loved those pacis so much. He would sleep while sucking on one and would hold another one or two while he slept. Because he was the third child and he had to be taken along wherever the girls were going, his sleeping schedule was pretty inconsistent during the day. One thing was for sure though...he loved his paci and it kept him happy so I let him have it probably more than I should have. 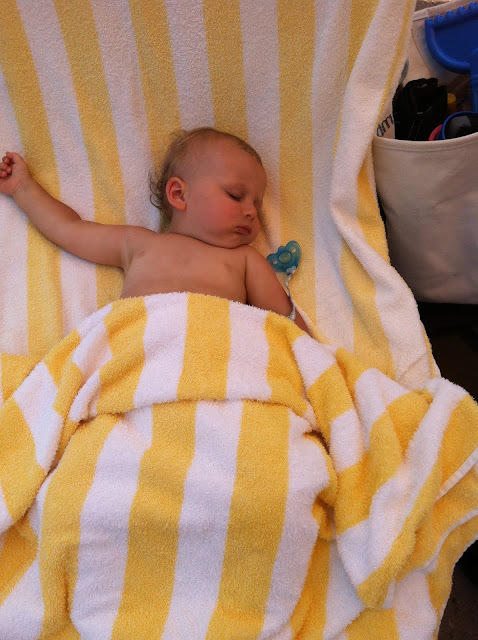 He often got his naps on the go, but if he had his paci, he was able to sleep just about anywhere, even at the beach, the pool, in the stroller, or at the lake. 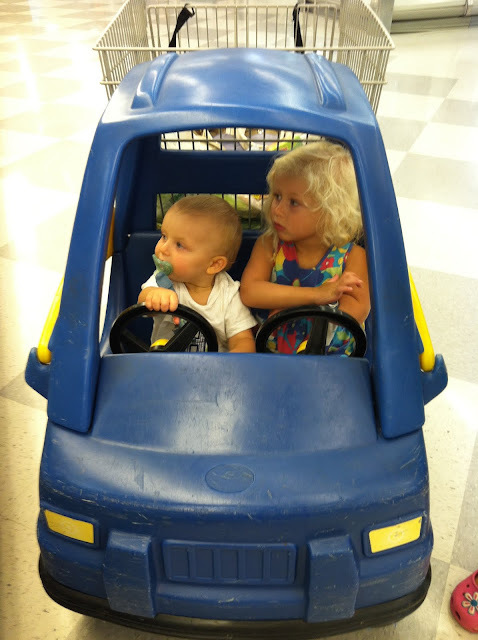 I was planning on taking it from him at age two, but that was when we were building our house, living with my in-laws, and spending SO much time in the car driving back and forth between the two so I let him keep it. He was allowed to have it at night and in the car. Then age 3 became my target goal to wean him off the paci. The day after his third birthday (I couldn't stand to do that to him on his actual birthday), I told him the pacis were going bye-bye because he was now a big boy. 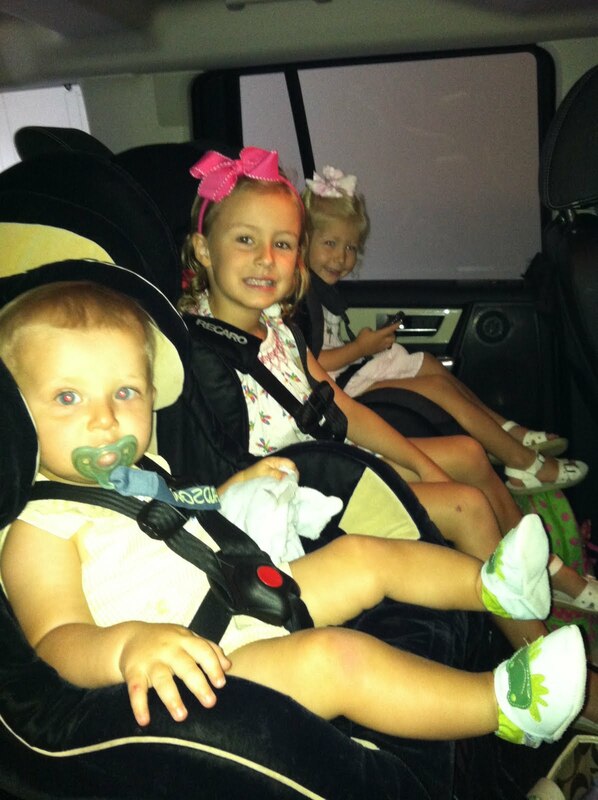 Goodbye pacis, hello sleep problems. 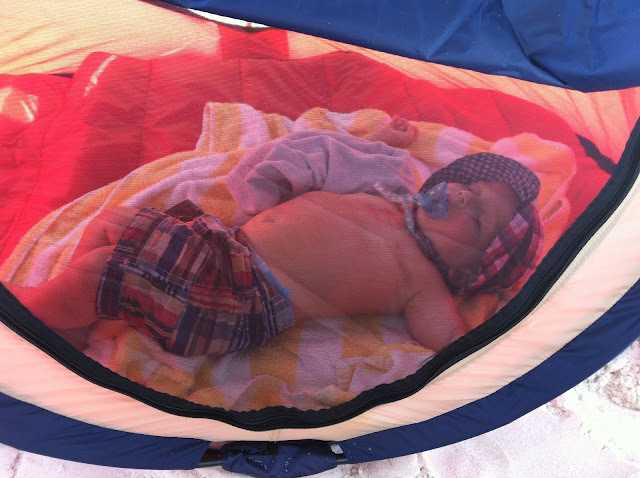 My little guy who used to go right to sleep the second I said goodnight to him and sleep until the next morning began having all kinds of trouble getting to and staying asleep. He started asking one of us to lay with him to help him get to sleep at night and he would wake up every.single.night between 2-4 AM. After I tried to break the habit of laying with him at night bedtime became really hard. I'd put him to bed at a normal time (around 8 PM) and most nights he was still wide awake at 10 PM or later. As I was tucking him in and getting him ready for bed he would tell me, " I just can't go to bed good" and he was right. He knew he had trouble getting to sleep. It wasn't that he wasn't trying to get to sleep, but his little body just could not wind down. We ended up agreeing that he could play in his room or read books until he was able to fall asleep. Because it would take so long he would sleep in very late in the mornings and his whole sleeping routine was just off. At his 5 year well visit this summer I talked to the pediatrician about my concerns and she gave me the typical tips you would expect. We tried those and nothing really changed. She did mention that I could give him a small dose of melatonin and that it helped some kids, but I sort of forgot about it shortly after that visit because I wasn't really convinced I wanted to go that route. Well, fast forward to an evening a few months ago and I was talking with one of my friends who gives her son melatonin to help him prepare for sleep each night. Hearing her similar experience with her son and how melatonin changed their evening routines made me very curious. She talked about how it was a total game changer for them and sent me home with a few from her bottle to try. He was sound asleep. #Icouldntbelieveit I thought he was just faking it at first because it had been years since he had fallen asleep so easily. I kept checking in on him and he stayed asleep. Even better, he slept ALL NIGHT LONG! 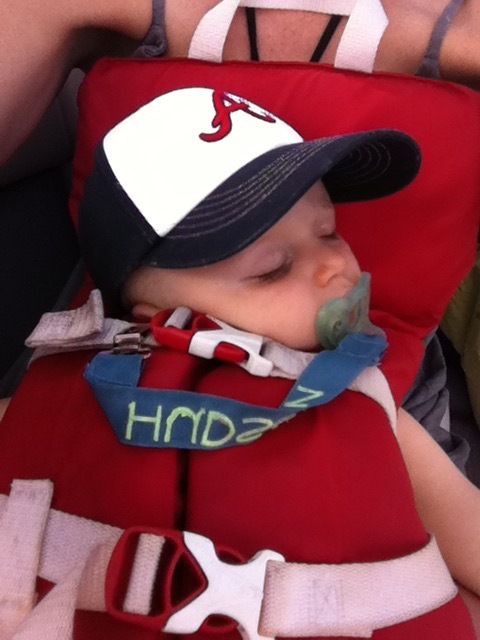 The first few days I sort of questioned it and felt like I was drugging him to get him to sleep. We continued giving it to him before bed and now it has become part of his nightly routine. 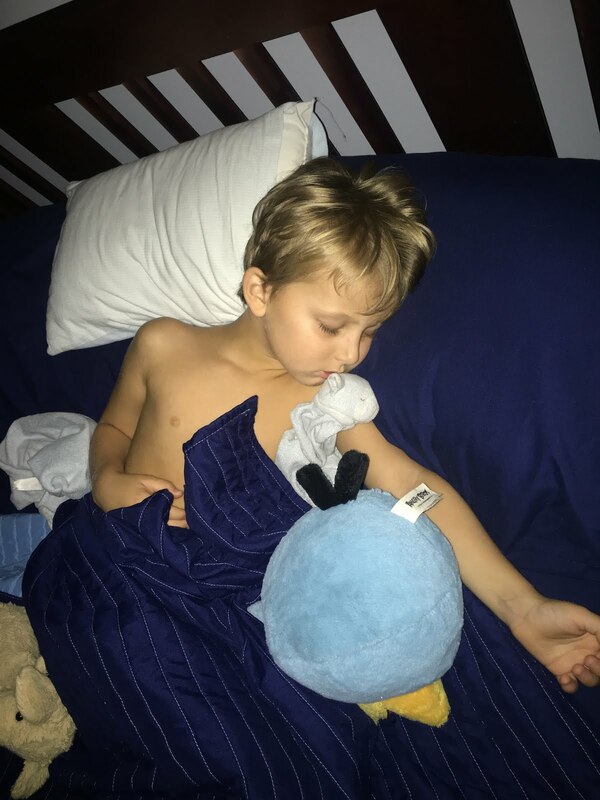 He calls it his nighttime vitamin and it has seriously been life changing for our family. There have been nights we have forgotten to give it to him if we were out of town or had something going on and you can certainly tell the difference. On those nights he tosses and turns and can't get to sleep. After taking the melatonin you can see him just start to relax. It helps him to get calm so his body can sleep. Then, he wakes up at a normal time in the morning, is well rested, happy, and his entire sleep routine is in line with what it should be. *Obviously I am not a doctor and have no medical training. 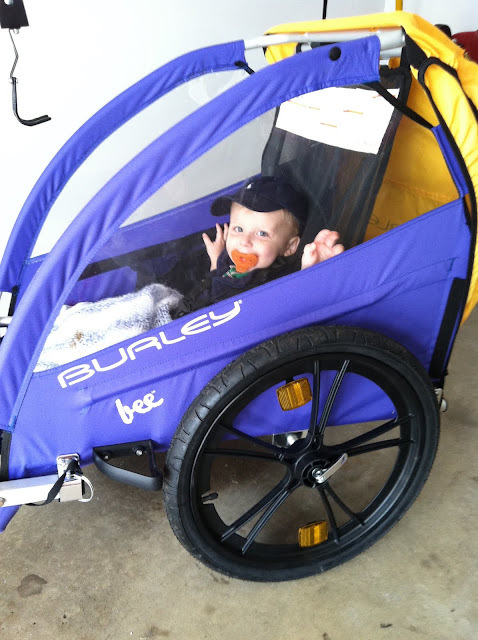 I'm simply sharing what worked for my son in hopes that it might help someone else. I would definitely recommend checking with your pediatrician before giving this to your child. *We give Boo-Boo a 1 mg tablet. It's chewable and he seems to like the taste of it or at least he doesn't complain about it. I found a few different brands in the vitamin section at local stores, but ultimately decided to order the same brand that my friend used because it was what we had tried, we knew it worked and wanted to stick with the same brand. 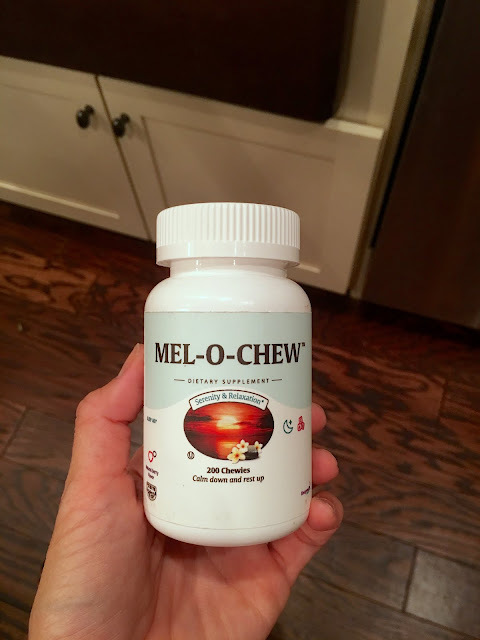 It's called Mel-O-Chew and I order it on Amazon. Check out the reviews, too. SO many stories of success similar to mine. *I give it to him just before we head up to get baths, read books and get in bed. I think that timing is just right for us. *After giving this to him, I talked to many friends and family members who also have taken melatonin themselves or given it to their children. I had no idea it was something so many people used. I'm sure the effects are different for each individual, but hoping that sharing my experience will help someone!